Important: The following pictures are highly magnified (30X to 50X) and may not show the gems' real size, color and brilliance. See description for accuracy. Color can greatly vary from computer to computer, depending on your monitor's settings. Color will also, naturally, vary from sunlight to indoor, incandescent light and other lighting sources as well. Dark and lighter areas are effects from the digital camera. 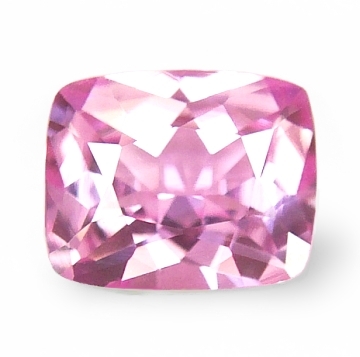 Splendid, absolutely perfect, pink color, superbly cut, unheated, Ceylon pink sapphire. Gorgeous! 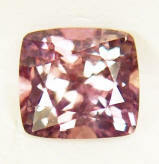 Gorgeous, unheated, pink sapphire this one! Real, real nice indeed. It weights 1.00 cts., medium, intense, pure pink color, masterly executed, "antique" cushion, mixed cut, and measuring 6.50x5.30x3.10mm, eye flawless, VVS1 from the gem fields of Marapana, Sri Lanka. Wow, you have to se this one in real life. Cut for large appearance, yet, displaying no window, this has the feel & look of a pink diamond. As clean as it gets as well, this pink is simply adorable. Will not fail to impress & for very little money. No heat, no treatments, very rare nowadays. Brilliant & effulgent, perfectly cut, unheated, Ceylon, "fancy", faint yellow sapphire. Diamond-like. A re-cut sapphire for maximal brilliance, this unheated, Ceylon "fancy" sapphire weights 1.91 cts., very light, faint yellow color (or tinted white if you prefer), masterly & perfectly executed, oval "flower" cut, and measuring 8.21x7.13x4.19mm, eye flawless, VVS1 from the gem fields of Marapana, Sri Lanka. 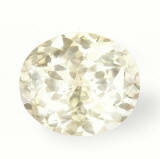 If you like diamond-like luster, perfect clarity, and a "wow" eye appeal, we suggest this one. Natural, untreated & unheated, as mother nature created it millions of years ago. You will love it. 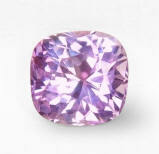 We simply are proud of the quality sapphires we offer. Always at wholesale prices & directly to the public. Peace. Adorable, perfectly cut & flawless, unheated, Ceylon yellow sapphire. Great price. A beautiful & enticing, unheated, Ceylon yellow sapphire, this one weighting 1.16 cts., pastel, "straw" yellow color, masterly executed, "antique" cushion, mixed cut, and measuring 5.75x5.5x4.0mm, eye flawless, IF-VVS1 from the gem fields of Ratnapura, Sri Lanka. Simply a perfect cut displayed in this unheated yellow. Brilliance is great, and of course, the clarity is flawless (we only settle for the cleanest rough material). 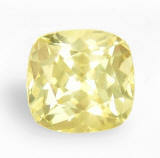 Overall, a beautiful unheated yellow sapphire that is irresistible to the eye, vibrant to the spirit, and priced at wholesale. Great buy. Awesomely cut, ravishing, unheated, Ceylon purplish pink, Ceylon sapphire. Simply beautiful! 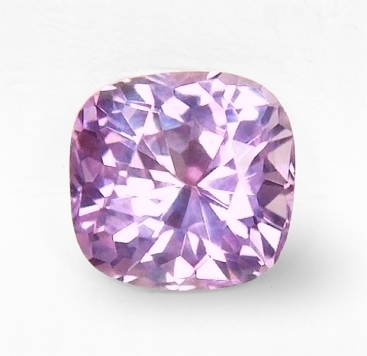 A real gorgeous, unheated, Ceylon "fancy" sapphire, weighting 1.06 cts., medium pink with slightly purplish undertones in daylight, shifting to medium pink-platinum color in incandescent light, amazingly well cut, in an "antique", Ceylon, square, mixed cushion, measures 5.7x5.7x3.85mm, flawless gem, IF-VVS type2 from the gems fields of Nivitigala. Ravishingly well cut, this is an ideal size if you are on a budget. The first $545 gets it, but worth three times more in any other venue, as it is unheated and untreated, as mother nature has created it (cut & polish applied). Delightful, very beautiful and under priced. Fabulously alluring, unheated, violetish-purple, color change, Ceylon sapphire. Just gorgeous. Uniquely ravishing, rare eye appeal, perfectly cut, untreated, Ceylon chrysoberyl. Very low price. A very unique, natural, untreated Ceylon chrysoberyl, weighting 1.99 cts., medium-dark, intense, yellowish-greenish with some brownish undertone ("musk" color), 7.34mm in diameter by 4.97mm, eye flawless, VVS1 from the gem fields of Marapana, Sri Lanka. The island-nation of Sri Lanka is perhaps known best for its sapphires, but many semi-precious varieties are to be found as well, like amethysts, zircons, garnets, aquamarines, cat's eyes, tourmalines, chrysoberyls, topazes etc. This beautiful, natural & untreated specimen of Ceylon chrysoberyl is perfectly cut & clean, and offered at a true wholesale value. 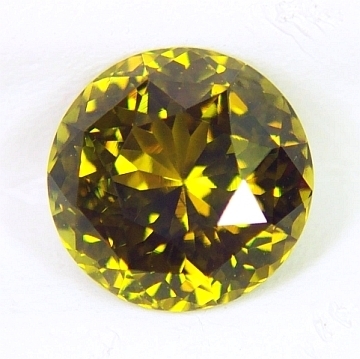 Diamond-like, extremely pleasing, unheated, Ceylon yellow sapphire. Beautiful gem. 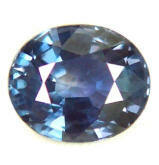 Sure the pic is not great, but we guarantee on the beauty of this sapphire. 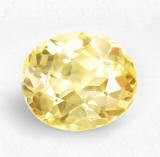 This unheated, Ceylon yellow weights 1.01 cts., medium, intense, "lemon" yellow color, perfectly executed, oval, "star" cut, measuring 6.15x5.4x3.47mm, eye flawless, IF-VVS1 from the gem fields of Elahera, Sri Lanka. The care of choosing the right clean rough, that will yield superior gems, at the best local prices is a task that requires expertise & knowledge and decades of working in the field. After the rough selection, we have it cut locally in Sri Lanka. Each and every sapphire is preformed and cut to perfection. No compromises. Offered at a great price. 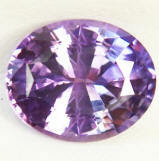 Alluring & magical, rare color change, violet to purple, unheated, Ceylon sapphire. A rare, unheated, "fancy", Ceylon sapphire. And a color change too. It weights 2.05 cts., medium, pure, intense violet color in daylight changing to medium pinkish-purple in incandescent light, superbly faceted, oval mixed cut, measures 8.6x7x4.5mm, eye flawless, VVS2 in clarity, from the Nivitigala mining area, Sri Lanka. Very pleasing sapphire with unusual color change, the cutting is perfect, and the result is just a stone for that someone looking for the unusual and beautiful! Very rare gem here and priced well below wholesale! Unheated sapphires are the hottest trend and will always appreciate in value as time goes by. Invest in your future now. A must have for any serious collection, simply amiable, perfectly cut, unheated, Ceylon golden zircon. Very low price. A most exotic, untreated, Ceylon yellow zircon, weighting 3.07 cts., medium, intense, "golden" yellow color, perfectly executed, oval, mixed cut, and measuring 9.17x6.70x5.08mm, eye flawless, IF-VVS1 from the gem fields of Marapana, Sri Lanka. Perhaps the most famous color in the zircon family is blue, always produced by heating reddish-browns, natural colors zircons. In Sri Lanka, the green & yellow variety are the predominant colors, with the latter seldom mined nowadays. Very often mistaken for a yellow sapphire (the double refraction is the main telltale), this is a fine specimen in golden color. And very well priced too. 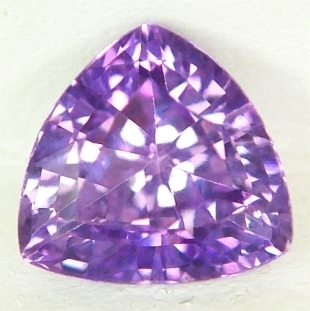 Unique, with exotic character, unheated, color change, champagne-pink, Tunduru sapphire. Perfect cut. 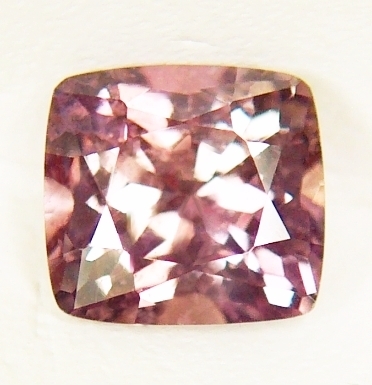 A very unique, unheated, Tanzanian "fancy" sapphire weighting 0.99 cts., medium brownish-champagne in daylight, changing to champagne-pink in incandescent light, masterly executed, "antique" cushion, mixed cut, measuring 5.7x5.3x3.45mm, eye clean, VS1 type2 from the Tunduru region, Tanzania, East Africa. An interestingly unique color, this sapphire displays the best color in incandescent light. The cut is very well done, and deliver great light return. Overall a real nice, unheated African sapphire for very little money. Add it to your collection, or have it mounted in an unique piece of jewelry...will charm you anyway. 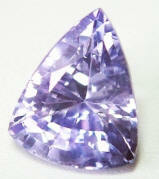 Gorgeously shaped, very lustrous, unheated, violet-lavender, color change sapphire. 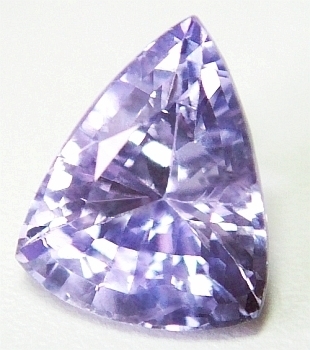 Uniquely shaped, this unheated, Ceylon, "fancy" sapphire weights 1.89 ct., pastel, violet-lavender color in daylight changing to medium platinum-pink in incandescent light, very well executed, elongated "shield", mixed cut, measuring 8.5x6.9mm eye flawless, VVS2 in clarity, from the gem fields of Elahera, Sri Lanka. Another fantastic color changer with a truly unusual and beautiful shape. The luster is tremendous here, and will make a most beautiful and unique pendant or ring alike. Use the button below and order it now. Under priced for this quality. 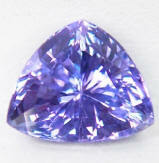 Superbly brilliant, perfect trillion cut, unheated, Ceylon color change, "fancy" sapphire. Spell-binding, incredibly lustrous, natural, Cambodian blue Zircon. Great size and magnificent brilliance. What a gorgeous, mouthwatering blue Zircon, a whopping 5.60 ct., medium-dark, well saturated, "neon" "aqua" blue color, with a slightly greenish undertone, perfect oval, mixed cut, measuring 11x9mm, flawless gem, IF-VVS1 in clarity (type2) from the Preah Vihear area, Cambodia-Thai border. Zircon is a very brilliant gem, with a high refractive index and dispersion. In other words, this gem is blessed with superb luster and gorgeous scintillation. 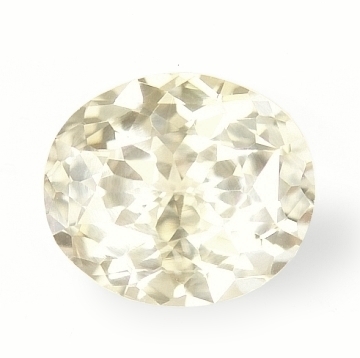 We do not normally stock zircons, but this one was just the perfect example of this variety. Save over 50% on the retail value. No reserve. Mysteriously unique, North America's own, unheated, Montana, teal-blue sapphire. Rare, unheated, Montana sapphire, weighting 1.05 cts., medium-dark, "teal" blue color, good oval, mixed cut, and measuring 6.1x5.07x3.61mm, eye flawless, VVS2 in clarity, from the Rock Creek bars, Missouri river, Montana. Montana is home to some of the largest sapphire deposits in the world. However, gem quality rough is a mere 2% of all sapphire available. Known as the "Native American Sapphire", Montana sapphires of 1 ct. in size are considered rare. In addition, completely unheated stones are also seldom available. If you are looking for an unique gemstone, then get a Montana sapphire. Very low price on this one...worth more.